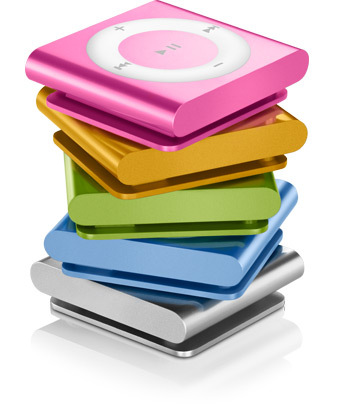 Apple announced a re-designed iPod Shuffle today, bringing back the button. This model has got up to 15 hour of battery life and is available in 5 colours, and will cost £39/$49. You can pre-order one now and it’ll ship next week. This entry was posted on Wednesday, September 1st, 2010 at 10:19 PM and is filed under Apple, iPod, News. You can follow any responses to this entry through the RSS 2.0 feed. You can leave a response, or trackback from your own site.